We at mountaincrafted.com had been searching for that just right aroma for our line of candles & bath & body products and Cashmere Woodlands fit that bill because it’s not the bakery, fruit or normal run of the mill fragrance, this one stands within its own class. I guess by now you are asking, "Well Barry, what does it smell like?" 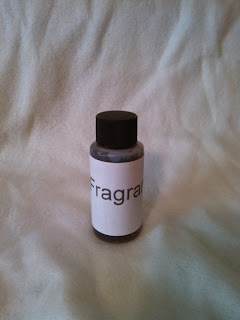 So here goes the description and trust me on this, my simple description cannot give this miraculous fragrance justice. Take an earthy woody Cedar wood scent and add Amber, Egyptian musk and bottom out with warm vanilla you have somewhat an idea of this fragrance. My personal take on this fragrance is that it brings memories of walking through our mountain woodlands with my old trusty dog Boo by my side with fall leaves crunching beneath my boots. A faint smell of the morning’s campfire still lingers on my clothing as I savor the first sip of my French vanilla flavored coffee from my thermos while at the same time a crisp gentle breeze is blowing through the tree tops! Try out this fragrance in our large assortment of products; I believe you will feel like us, rightly glad you did!